Please make sure to update your homepages / RSS feeds / Google Reader applications / favorites / etc. Thanks to MLBTR for the link this morning. Here is another link about a former high school teammate of mine who made it to the big leagues a little faster than I did. Thanks to Hot Stove for the link this morning. Where Should These FAs Land? 1) Johnny Damon: We have discussed this at length, but he would be a perfect fit on the South Side of Chicago. 2) Chan Ho Park: Park started the season in the Phillies’ rotation. Following seven unsuccessful starts, he was sent to the bullpen (on May 21) where he thrived. After that time, opponents slugged only .284 against him. He struck out 52 batters while only yielding 16 walks in his final 49 innings of work. By the end of the season, Park was also throwing harder than I can remember him ever throwing, often hitting 93+ (the gun on Fox had him higher but I’m a little skeptical). He seems like a perfect candidate for a high-leverage setup role (8th inning guy) and if injuries struck in the rotation, he could also make spot starts. Best Fit: Cubs - Park would also provide some insurance in Carlos Marmol was injured or struggles. 3) Felipe Lopez: One of the few players that developed patience at the plate as his career has progressed, Lopez can play a multitude of positions - although he probably projects best at second base. He won't hit for a ton of pop, but posts very respectable OBP numbers and can handle the bat. He rarely grounds into double plays another reason to trust him at the top of the order. He also switch hits, adding to his versatility. Best Fit: Cubs - An upgrade over Jeff Baker who would thrive hitting in front of Derrek Lee, Aramis Ramirez, and Alfonso Soriano. 4) Russell Branyan: Branyan posted career-best power numbers last year at the ripe age of 33. It was the first time he accumulated over 500 at bats, and he made the most of the opportunity. His health is the biggest concern as he has missed time due to a number of different injuries including back (the most serious concern), oblique, hand, ankle and knee. If he can avoid the injury bug, he can be a middle-of-the-order bat. Best Fit: Marlins - He would hold down the fort until the prospects (Gaby Sanchez, Logan Morrison) are ready. 5) Hank Blalock: Blalock, a player who seems to have been around forever, will only be 29 on Opening Day. Injuries are a concern, but I am shocked no one has scooped him up. Lefty power does not grow on trees. Best Fit: Rays - He would be a big lefty bat off the bench or a platoon-mate for Pat Burrell at DH. 6) Kiko Calero: Calero had a borderline-dominant season last year surrendering only one home run, 26 unintentional walks, and 36 hits while striking out 69 batters in 60 innings. The Marlins paid him $500k last season after he missed most of 2008 with injury. I can only venture a guess as to what he would be looking for this offseason, but at the right price, he might be worth the risk. 7) Rocco Baldelli: In a a recent article on FanGraphs, Jack Moore asked if newly-signed Endy Chavez was the perfect "5th Outfielder." Moore makes some interesting points about depth and defense while conceding Endy's bat leaves a bit to be desired. A mitochondrial disorder prevents him from playing every day, but when given the opportunity, Baldelli displays a decent amount of pop and speed. He also rates as an above average defender. Best Fit: Orioles - He would be a nice upgrade over Felix Pie and could DH against tough lefties in place of Luke Scott. Can T-Mac Solve the Hornets' Problems? As a Hornets' fan, this deal tortures me. As a realist, this deal makes a ton of sense. New Orleans trades David West, James Posey, and Morris Peterson to Houston for Tracy McGrady. Pro: Ridding themselves of the nearly $30m due to Posey and Peterson over the next three years will go a long way towards shaping the franchise's future. Con: Like a quote from my favorite scene in Old School, if you are reading this, you already know - trading David West is a last resort. Let's not dwell on this. The deal nets the Rockets much more than the deal being discussed with the Knicks. Con: All the salaries associated with the players being acquired. The Sacramento Kings trade SG Kevin Martin to the Milwaukee Bucks for Luke Ridnour, Joe Alexander, Ersan Ilyasova, and their 2010 first round pick. Pro: If it hasn't already become obvious, The Future (Tyreke Evans) and Kevin Martin cannot coexist harmoniously. The contracts of Ridnour and Alexander expire at season's end. Couple that with the ridding of the remaining $27m+ of Martin's deal and Kings can be players in this offseason's market. Alexander, the eight overall pick of the 2008 Draft, has fallen out of favor in Milwaukee but could use the remainder of the year as a tryout to impress the higher ups in Sacto. The real prize of the deal might be Ilyasova who has proved to be a solid contributor for a solid Bucks squad in playoff contention. The first round pick could turn out to be a lottery selection if the Bucks crumble down the stretch. Con: Martin, despite all his faults, has undeniable talent. He can score an efficient 20 a night. As recently as October, Martin was considered the team's franchise player. Pro: The Bucks find themselves a game out of the playoffs, a land they have not reached since the 2005-6 season. Martin would fit in perfectly with Brandon Jennings, a pure point guard, and franchise center Andrew Bogut. This would be a solid foundation upon which to build. Chicago White Sox GM Kenny Williams confirms he is a fan of the Banter. Sweet. The MLB Draft is starting to gain ever so slightly in popularity among fans. In general, we love the "next big thing" so it was only a matter of time before interest picked up. As this is happening, the Draft is also becoming a focal point in the next round of the CBA. Lower-revenue teams want the ability to draft the best talent and not have to worry about the prohibitive costs associated with doing so. Thus, a "hard-slotting" system, which would resemble the NBA's system, is being discussed. Retaining signing rights for high schoolers into the future - "Baseball needs to adopt the NHL rule where if you're drafting underage players (high schoolers) you retain the rights," Ash said. "If you're forced into signing them and overpaying because you're trying to buy out colleges you could say, `Look, go to college. We'll keep our eye on you and we'll sign you later.'" It makes a ton of sense to use principles from the other major sports as guidelines for baseball. *Are the Mariners really going to be that good? I know they play great defense and improved the offense a little, but they only have two starting pitchers - Felix Hernandez and Cliff Lee (granted these are Cy Young-caliber arms). Where are the rest of the innings going to come from? *Shameless plug: check back next week for a ranking of every team's offseason. In 1998, the Minnesota Timberwolves signed Joe Smith to a two-year deal below the going rate at the time for a productive power forward. After that contract expired, Smith and the T-Wolves agreed on a new seven-year, $86m contract. However, it was determined that in an effort to circumvent the league's salary cap, Smith only agreed to the initial two-year deal with the promise of the later seven-year deal. Signing below market value would allow the team to add additional players in the short term. The NBA was not happy, and much like The Incredible Hulk, you "won't like him when he is angry." The him in this case is league commish David Stern. Stern voided the new seven-year deal, fined the team $3.5m, and forced them to surrender their next FIVE first round picks (after some negotiation, the team was "only" forced to surrender three of those five in 2001, 2002, and 2004). My question: what would have happened to the Wolves if this "secret" deal had never been made or discovered by Stern? Aside from the fact that Joe Smith would be about $50m richer (he went on to earn about $36m during the time he would have been under contract for $86m), the Wolves might have avoided the doldrums they find themselves in today. In 2001, the players available when the team should have picked in the first round (18th overall) included Zach Randolph, Brendan Haywood, Gerald Wallace, Samuel Delambert, Jamaal Tinsley, Tony Parker, and Gilbert Arenas. In 2002, the players available when the team should have picked in the first round (24th overall) included Nenad Krstic, John Salmons, Roger Mason, and Carlos Boozer. In 2004, the players available when the team should have picked in the first round (29th overall) included Anderson Varejeao, Chris Duhon, and Trevor Ariza. Now, it is impossible to think that the Wolves would have hit on all of these picks (especially considering the fact that they selected Ndudi Ebi in the first round of the 2003 draft when they did not have to surrender a pick), but it is fun to play the game. Let's assume the Wolves hit in two of the three years with Tony Parker and Trevor Ariza. Pair these two and Smith with Kevin Garnett and the Wolves would have been a threat to win the NBA Finals. After all, without Parker, Ariza and Smith the Wolves made it to the 2004 Western Conference Finals (lost in 6 to the Lakers). In 2006, Smith was shipped from the Nuggets along with Andre Miller to the 76ers for Allen Iverson. Less than two years later, Iverson was shipped from Denver to Detroit for Chauncey Billups in a deal that built the foundation for the Nuggets' recent successes. Without the Joe Smith saga, neither of these deals occurs. In the summer of 2007, a disgruntled Kevin Garnett forced a trade to the Boston Celtics, who went on to win the 2008 NBA Finals. With Parker, Ariza, and Smith, this deal doesn't happen and the Celtics never win it all (no way they make the Ray Allen deal without KG). Ironically, using part of the package acquired for Garnett, the Wolves selected Johnny Flynn, their new PG of the future. A small, small consolation prize, I know. Amazing how much changed because of Joe Smith, a player that had a bigger impact off-the-court than he did on it. With the NBA's trading deadline 12 days away, teams will have to start making some difficult choices while determining if they are contenders or pretenders. For some teams, however, the decisions should be relatively simple. The Knicks and Blazers fall into the latter category. *New York sits 4.5 games out of eighth in the East while Portland finds itself 5 games behind Denver for the second seed in the West. *New York overspent wildly and finds themselves in a nightmarish cap situation. Portland transformed themselves from the JailBlazers in five short years with a series of shrewd moves which changed the culture and outlook of the franchise. *New York's best (and some would argue only good) player, David Lee, will be a free agent at season's end. Portland has a bevy of young talent surrounding franchise player Brandon Roy. *The Knicks have a glut of centers while Portland has none. The Knicks trade Jared Jeffries and Jordan Hill to the Blazers for Steve Blake and Travis Outlaw. Pro: If the Knicks are serious about being big spenders in the offseason, they need the cap room to get deals done. Both Blake ($4m) and Outlaw ($3.4m) come off the books this summer while Jeffries would cost another $6.5m next year and Hill another $2.4m. The deal probably makes the team better in the short term as Jeffries can be replaced and Hill does not play much. Outlaw, 25, also has a bit of long-term potential. This would be an extended tryout for him. Con: Hill was the team's first round pick this year. Trading him would be admitting mistake as they could have gotten a better return for Hill (or the 8th pick the team used to select him) on Draft Night if they planned on trading him at all. Pro: Despite being decimated by injuries at the center position, Portland would be the 7th seed in the playoffs if the season ended today. However, the team would have no chance of competing in the West against the likes of Pau Gasol and Amare Stoudemire. At 6-11, Jeffries would provide a defensive presence that the team does not currently have. The 6-9, 15-year vet Juwan Howard has played adequately, but he alone will not do the trick. The Blazers would probably struggle to afford re-signing Outlaw anyway. With the depth they have at small forward (Martell Webster, Nicolas Batum), money could be better spent elsewhere. They really don't need Steve Blake with Andre Miller in town and Jerryd Bayless waiting in the wings. They actually improve in the short-term and the long-term. Lane Kiffin's first assignment after he finishes signing this class is to teach receiver signee Markeith Ambles how to spell Trojans. Tuesday, Ambles tweeted this: "@mARKEITHAMBLES: who will i be tomorrow a vol, trogan, or tar heel!!!!!!" I chalked that one up to tiny mobile phone keys or touchscreen issues. After all, the G and the J are separated only by the H on a standard QWERTY keyboard. But when Ambles tweeted Wednesday about his decision, I began having doubts. At 12:13 p.m. Wednesday, he tweeted this: "@mARKEITHAMBLES: Go Trogans!!!!!!" Wow, Kiffin works fast. At 12:24 p.m., Ambles tweeted this: @Markeithambles: "Trojans"
2) William Gholston, a signee of Michigan State, said after signing that he looks forward to the next "three years." I like the cockiness. 3) FSU signeee, Bjoern Werner, cited "proximity to home" as a major reason for selecting the school. Why is that weird? His home is Germany! "The Big Ten Player of the Year as a sophomore is not blessed with great physical tools." He must be joking. The guy won the Big Ten PoY Award as a sophomore for crying out loud. In general, I really enjoy Fran's work, but this could not go by without criticism. *I learned today that a recruit in the Class of 2011 is actually named God's Power Offer. Catching Up with Gerald Riggs, Jr. Eight years ago today, National Signing Day 2002, Gerald Riggs, Jr. sat atop the recruiting world. Voted Mr. Tennessee Football during his junior year at Red Bank High School, Riggs also led his team to the 2000 state title. Numerous publications and experts tabbed Riggs as the premier player in his graduating class. The bloodlines were in place as well, as his father, Gerald Riggs, Sr. was a three-time Pro Bowler with the Atlanta Falcons during a ten year NFL career. After an injury-plagued career at the University of Tennessee, Riggs, Jr. went undrafted. Still looking to break camp with an NFL team, Riggs, Jr has been working out intensely in Atlanta. Today, however, it was his younger brother's turn to go through the process. Cody Riggs signed his letter of intent with the University of Florida, who not so coincidentally had the number one ranked class in the country according to at least three major publications. Riggs, Jr. took some time out of his day to talk with The Banter about Signing Day, a UT-filled Super Bowl and many other things. He was clearly excited for his brother and from our brief encounter seems like a great guy who was extremely personable. TheSportsBanter: What have you been up to since graduation (UT Class of 2006)? Gerald Riggs, Jr: I played a couple years [Miami Dolphins, Chicago Bears, Detroit Lions, Rhein Fire] and have been doing radio and television the last two and a half years waiting to get another opportunity. TSB: Have you gotten any interest? GRJ: A little here and there but they never make any moves. It's frustrating because I know I can play. I just have to make people remember somehow. TSB: Back in 2002, you were rated by many people as the #1 recruit in the country, what was the recruiting process like for you? GRJ: It was fun going on my visits and talking to coaches, meeting potential teammates, but towards the end, you just want it to be over so you can move on. TSB: What, if anything, do you remember about signing day? GRJ: Mine was pretty boring actually because it was a done deal about a week before. TSB: Do you follow the happenings on Signing Day each year? GRJ: No, not really. I only did this year because my bro was coming out this year, but normally, no. TSB: Your brother was ranked as one of ESPNU's Top 150. Where is he heading to college? GRJ: He's going to be a Gator. TSB: Did you have any advice for him on the whole process? GRJ: I just told him do go where he feels at home and where he has a real opportunity to play the kind of football he is used to, which is a very high level (St. Thomas Aquinas in Miami, FL who finished the year ranked #27 in the nation). TSB: Were you able to make it to any of his games this season? GRJ: Yes, I flew down to see them play Byrnes (SC) who finished #36 in the nation. TSB: Reports have your brother weighing in at 154 lbs. Did he lose the weight room key? GRJ: (Laughs) He's 175 lbs. now, but he'll gain weight. That won't be a problem because he's still growing. TSB: I'm sure he would still run me over at 154 lbs. GRJ: (Laughs) Nah, he's a corner, speed demon. He would just run by you. TSB: Your dad was a Pro Bowler, you played in the NFL, and now your little brother is a top recruit. I can only imagine what your backyard football games are like. GRJ: (Laughs) Well, he was too young when dad was still able to run around like that, but they still get pretty serious. TSB: What do you think of the coaching situation at UT? GRJ: I think we have a great coach in place, a quality character guy that will instill loyalty and discipline in the program as well as put a great product on the field. TSB: Do you stay in touch with Coach Fulmer? GRJ: No, not at all. TSB: Was it a messy situation while you were there? GRJ: I wouldn't say messy, but we didn't see eye to eye on some things, and that caused some things to happen which I didn't take kindly to. So, there was no connection once I left school. TSB: Do you keep in touch with any of your former teammates? GRJ: Oh yeah definitely...as many as I can. We all care about what's going on, and we developed a special bond. TSB: You have three former teammates playing in the Super Bowl (Robert Meachem, Jabari Greer, and Marvin Mitchell) plus Peyton Manning is a fellow UT alumnus. So , what is your pick? GRJ: Don't get me wrong, I love those guys. In fact, I want them to win, but I just don't see it... I'm gonna say the Colts. Peyton is simply the best at diagnosing the defense and beating the blitz. Their defense is fast, and they create turnovers, and I just think the experience of being there before will be too much. TSB: Personally, I think if the Saints can keep it close, Drew Brees can find a way to lead them to a win. That would be huge for the city of New Orleans. GRJ: Yeah, it would. I really want to see them take it home, but the football mind in me just can't say they will. For them to win they'd have to get out in front, and I mean like 14 or 17 by the middle of the 2nd, but I don't see that. TSB: Interesting. We will have to see. Where are you training during the offseason? GRJ: I have been working really hard in Chattanooga and Atlanta. TSB: Well, thanks again for your time and best of luck to you and your brother. GRJ: Thanks to you too. The Banter has been around for slightly over a year now. Over this time, posts have been pretty unpredictable. Regular readers have asked numerous times for a more predictable schedule. I think it is time to comply...or at least try really hard to comply. First, a link from MLBTR.com (half-way down the article). Next, the first (of many) posts at SportsGrumblings gets published. And finally, Henry Abbott of ESPN.com links to a Banter article in his Monday Bullets blog (top story). A quick recap: Banter gets the lead, Wayne Winston hits cleanup, John Hollinger bats tenth, and Mark Cuban finds himself in the 15-hole. Note this article also be found on my new site, here. The top-tier talent still exists, but the third base position lacks the depth we have become accustomed to in the past. By my count, only two players eligible at the position can be considered true five-category threats, Alex Rodriguez and David Wright. In fact, last season only seven third basemen stole more than nine bases and one of those guys, Emilio Bonifacio, probably should not be drafted as he only contributes in that one category. As you will see, two themes resonate throughout the article: health and opportunity. One without the other does little. 1) Alex Rodriguez, NYY: A-Rod has delivered his fantasy owners at least 30 homers and 100 RBI every season since 1997. He no longer runs like he used to but can still be counted on for 15-20 stolen bases all while contributing a solid batting average. The only worry here revolves around the health of his hip which caused him to miss the first month of the 2009 season. All reports seem to indicate the hip can sustain a year of wear and tear meaning he should be the first 3B off the board in your draft. 2) David Wright, NYM: Like A-Rod, Wright missed time last season with an injury which helped to contribute to the career low numbers he produced in homers, runs, and RBI. A move to a new pitcher-friendly park did not help matters. However, Wright’s ’09 season seems to be the anomaly. At 27, he figures to see his power return to their 2005-8 levels with any luck. Despite the time missed, Wright stole 27 bases, second most among third basemen. 3) Evan Longoria, TB: Longoria, aka (by me) “A-Rod Lite”, should be good for 300-100-100-10 which more than justifies an early round pick. Like Mark Reynolds (details below), if Longoria can cut down on the strikeouts, he can bump up his average too. 4) Mark Reynolds, Ari: Reynolds had an incredible 2009 season finishing fourth in the Majors with 44 homers. He also added 24 stolen bases despite never having topped 11 in any professional year prior. So why isn’t the former Virginia Cavalier a shoo-in first rounder? Batting average. Reynolds racked up an incredible 223 strikeouts, 37 more than the next closest player, on his way to a .260 average. If Reynolds can put the ball in play even a bit more than he has in the past, his average could climb into a level of respectability making him a steal in the second round. 5) Aramis Ramirez, CHC: When healthy, Ramirez has been a four category stud. He has garnered MVP votes in four of the past six seasons. Unfortunately, he missed half of last season with injury. Can he bounce back? My guess would be yes. After returning from the separated shoulder he suffered, Ramirez picked up right where he left off (a good sign for this year), and he will only be 31 on Opening Day. 6) Pablo Sandoval, SF: The Panda had a huge 2009 season and reportedly lost some weight meaning he might steal some bases this year too. Sign me up. 7) Kevin Youkilis, Bos: Youk’s power and RBI numbers took a dip last season but still produced at a more than adequate level to warrant a top-5 round pick. He will hit in the middle of a solid lineup. No red flags here. 8) Ryan Zimmerman, Was: The pride of DC won’t let the Nats lose 100 games but will he put up 30-100-100 for his fantasy owners? Probably not as he has only reached 30 homers, 100 runs once, and 100 RBI twice but the potential is there. I could not fault any owner who bumps Zimm up a few slots on this list. 9) Chone Figgins, Sea: He stole 50% more bases than the next closest third baseman. Plus, he will certainly help you with runs scored. For whatever reason, he cannot seem to sustain the high batting average. Look at his last five seasons: .290, .267, .330, .276, .298. Expect at least a small drop-off. 10) Chipper Jones, Atl: Despite playing in 143 games, Jones’ numbers were completely underwhelming. He will be 38 in April and seems like he is slipping down a slippery slope. Does he have one more year left in him? 11) Michael Young, Tex: Last season, Young set a career high in Slugging Percentage, a great sign. He’s always reliable for a high batting average and figures to get a ton of RBI opportunities in this potent lineup. 12) Gordon Beckham, CWS: Beckham more than held his own during his rookie year, and big things are expected this season. A position switch might be in store (second base), but for now we will enjoy his production at third. Positional flexibility never hurt anyone. 13) Adrian Beltre, Bos: Acquired because of his defensive prowess, Beltre finds himself in a great hitting situation. A rejuvenated Beltre figures to thrive now that he won’t have to play half his games in spacious Safeco. 14) Mark DeRosa, SF: DeRosa’s best asset might be his versatility both for the Giants and your fantasy team. He should qualify at 2B, 3B, and OF, but 20 homers and 80 RBI will play anywhere in your lineup. Plus, he boosts your team’s GPA. 15) Jorge Cantu, Fla: Despite being the subject of numerous trade rumors throughout the offseason, Cantu will again find himself serving as protection for Hanley Ramirez. That means he will have plenty of RBI opportunities. He will help in batting average too. 16) Casey McGehee, Mil: We have a very small sample size to work with here but, aside from a slightly below average contact rate, raises no red flags. Do not expect 30 homers but in the late rounds, you already knew that. 17) Miguel Tejada, Bal: Tejada will most likely not be eligible at third base when the season starts meaning he will need a caddy for the first few weeks, and he will be turning 36 in May. However, at this point, he offers the best value. 18) Casey Blake, LAD: Blake is a steady, unsexy, option at third base. Pencil him in for .280-20-75. Boring but dependable. 19) David Freese, StL: One of two rookies (Brandon Wood) that figures to play regularly beginning on Opening Day, Freese must overcome some off-the-fields issues in order to gain the trust of the Cardinals’ brass. For the sake of fantasy owners, we hope his 25-homer power erases those memories in a hurry. Hitting in a lineup with the likes of Albert Pujols and Matt Holliday often makes players overachieve. Works for me. 20) Mark Teahen, CWS: Teahan has been penciled into the 3-hole of the White Sox making him an attractive late round option. Do not expect power but he can be useful. 21) Brandon Inge, Det: Only draft Inge if you are either a) dumping batting average or b) planning to draft Joe Mauer. He has power but it comes with a steep price. 22) Kevin Kouzmanoff, Oak: Kouz is making a lateral ballpark move (Petco to Oakland Coliseum). His new digs should see him him surrounded by better hitters which could bump him runs and RBI. 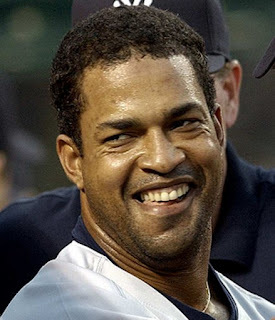 23) Pedro Feliz, Hou: Feliz has had an OPS between .694 and .717 each of the last five seasons. Another guy making a lateral ballpark move (from hitter friendly Citizen’s Bank Park to hitter-friendly Minute Maid Park), Feliz should deliver more of the same. 24) Garrett Atkins, Bal: Atkins leaves the hitter heaven of Coors where he struggled mightily last season. He will be given a starting job, something he could not keep last year, and will probably hit in the heart of the O’s lineup. Worth a shot. 25) Edwin Encarnacion, Tor: Miscast as a third baseman (terrible defensively), Encarnacion was acquired in midseason from Cincinnati. He has tape measure power but cannot make consistent enough contact to be a dependable fantasy threat. Each of these players has at least one giant red flag associated with him. Scott Rolen (Cin), Troy Glaus (Atl), and Mike Lowell (Bos): (Injury): Rolen missed 34 games last year, Glaus missed all but 14 games last season, and Lowell had offseason wrist surgery (adios power). They all need to be drafted (in this order) and should go off the board any time after Round 15. Adam Kennedy (No team): Kennedy remains unemployed but proved to be a useful player last season when given the opportunity. Less than three years ago, these three were the beacons of hope for the perennially-struggling teams in San Diego, Kansas City, and Pittsburgh. Now, they are almost afterthoughts. It shouldn’t be this way. I expect these guys to be fantasy starters in deeper leagues by year end. Chase Headley, SD: Two years ago, the plan was to build around Adrian Gonzalez, Jake Peavey and Headley. Obviously, things have changed a bit. Alex Gordon, KC: The best hitting prospect in the game three years ago, Gordon needs to make the most of the starting opportunity he was handed. He also needs to stay healthy. Andy LaRoche, Pit: LaRoche was a prospect in the Dodgers system until they traded him in the Manny Ramirez-Jason bay deal. If he’s not careful, he will be watching Pedro Alvarez take his job. Can competition bring out the best from LaRoche? If it gets late in the draft and you see you are missing one category and a third baseman, these are four you might want to consider. Ian Stewart, Col (Homers): He will kill your batting average but he has 30 homer power. Placido Polanco, Phi (Runs): Like Tejada, he will not be 3B-elgible for the first few weeks, but he moved into a great situation in a great park. He might be able to help in batting average too although his average took a dip last season. Martin Prado, Atl (Batting Average): Figures to hit .300 near the top of the Atlanta lineup. Jhonny Peralta, Cle (RBI): Hitting in the 6-hole offers Peralta consistent opportunities to knock runs in. Emilio Bonifacio, Fla (Stolen Bases): As mentioned above, he is probably free agent fodder but desperate times call for desperate measures and Bonifacio can be useful. Two years ago today, the Lakers traded Marc Gasol, Kwame Brown, Javaris Crittenton, Aaron McKie, and their 2008 and 2010 first rounders to the Grizzlies for Pau Gasol and their 2010 second round pick. The Gasol-Gasol deal helped to shape these two franchises (possibly three if you read further) into what they are today. At the time, Laker GM Mitch Kupchak was hailed as the second coming of Albert Spaggiari. Memphis GM Chris Wallace, who had already ruined the lives of many Celtics' fans while serving as its team's GM, now infuriated another fan base. Gregg Popovich, coach of the rival San Antonio Spurs said about the trade, "What they did in Memphis is beyond comprehension. There should be a trade committee that can scratch all trades that make no sense. I just wish I had been on a trade committee that oversees NBA trades. I would have voted no to the LA trade." Not exactly a glowing peer review. However, now that we have been offered some perspective, how bad was this deal for the Grizz, and how great was it for Lakers? From Memphis GM Chris Wallace's standpoint, it allowed his team to clear the approximately $60 million remaining on Gasol's contract off their books. Why pay all that money to the best player on a team constructed to win 15 games per season? In essence, they were hitting the reset button and starting fresh. As fate would have it, Marc Gasol has turned into an above average center. In fact, it has been debated that he is more worthy of the 2010 NBA All Star selection than his brother, Pau. McKie was immediately released and Brown was let go at season's end. The only value they provided was the clearing of cap space. Crittendon, before being suspended for the now infamous Gilbert Arenas gun incident, was traded to Washington for a conditional draft (a pick that Memphis had previously sent to the Wizards for Juan Carlos Navarro). As an aside, is it possible to think that without the Gasol-Gasol deal the gun incident never happens? Seems plausible to me and now Wizards' fans have a reason to hate Chris Wallace too. The Grizz used the Lakers' 2008 first rounder to select Donte Greene only to trade him to New Orleans for Darrell Arthur. After running into some off-the-court trouble (marijuana-related), he proved to be a serviceable big man for Memphis in 2009. A torn pectoral has shelved him for the entirety of this season. He figures to be an 8th or 9th man for a decent NBA team. The swap of the Lakers' 2010 first rounder for the Grizz's 2010 second rounder provides another small upgrade (about 15 picks). From the Lakers' perspective, this deal was and still is a slam dunk (possibly the worst pun of my writing career). Pau helped the Lakers reach the 2008 NBA Finals where they lost to the Celtics. In 2009, the Lakers won the NBA Finals. In 2010, the Lakers again have the makings of a Championship-caliber team as they currently own the League's second best record (37-11; half a game behind the Cavaliers). Overall, the deal was pretty solid for both teams. It's easy to pick on Chris Wallace, but I think we (including Coach Pop) owe him a bit of an apology. UPDATE: I missed the best part: these teams play each other tonight!